Learning how to keep a box score of a baseball game is a fun way to learn more about the game and a great memento to help you remember every game you’ve watched. Keeping a box score of a baseball game keeps you involved in the action, teaches you more about the game and really helps you get to know the players on your favorite team. Plus it’s fun! Once you’ve got the basics, you can download our Box Score Template and get started! Some people like to keep score in pencil, especially the first few times, in case you make a mistake or two. Then you can go back over it later with a pen, or print out a fresh Box Score sheet and copy it down neatly. That’s all there is to it! Have fun! Here are a few links that show you the basics. This first link takes you to the Major League Baseball page on keeping a box score. Look it over carefully to learn the terms. If you get a little confused, don’t worry– the videos below help it all make more sense. 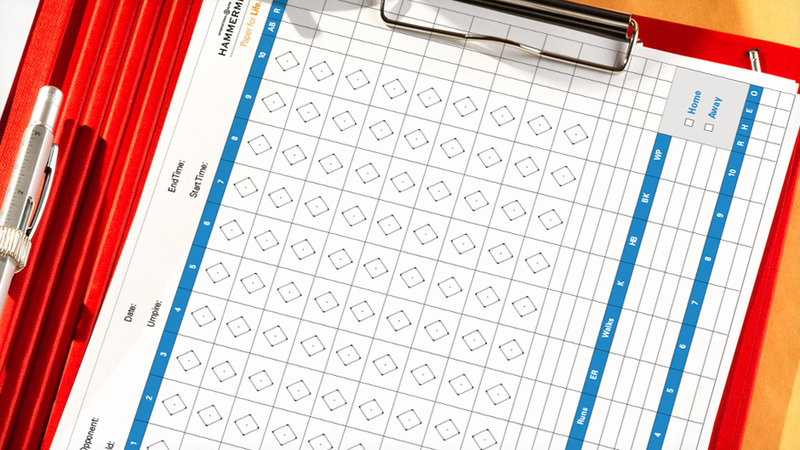 Get started with the basics of keeping a scorebook (boxscore). Learn more about keeping a scorebook (boxscore).